Another winning design from the brand Hunter Douglas, the Nantucket features beautiful, sheer fabric and easy blinds operation. 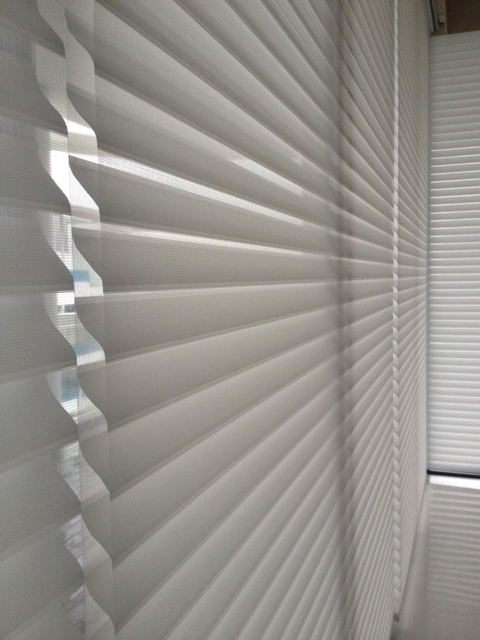 The Nantucket shadings are designed with three inches of fabric vanes attached between two sheets of sheer fabric. This enables it to soften harsh lighting and filter out harmful UV rays, letting you enjoy the outside scenery while maintaining your privacy and protecting your indoor interiors all at the same time. If you want even greater light control, consider an add-on rear screen fabric which offers more privacy while reducing glare. The Nantucket blinds come with the brand’s limited lifetime product guarantee.